Clear faced Oak - sumptuous, impressive and satin finished - this unique luxury range can be manufactured to larger sizes than standard. Available as Sliding Sash Oak Windows or impressive External Doors and Entrances with Satin Smooth Honey Glow. Products in our Contemporary and Premium ranges can be supplied with clear faced oak internal finishes. Bi-fold and other configurations also available. Our windows are manufactured from certified FSC/PEFC laminated timbers using timber from managed forests with Full Chain of Custody. 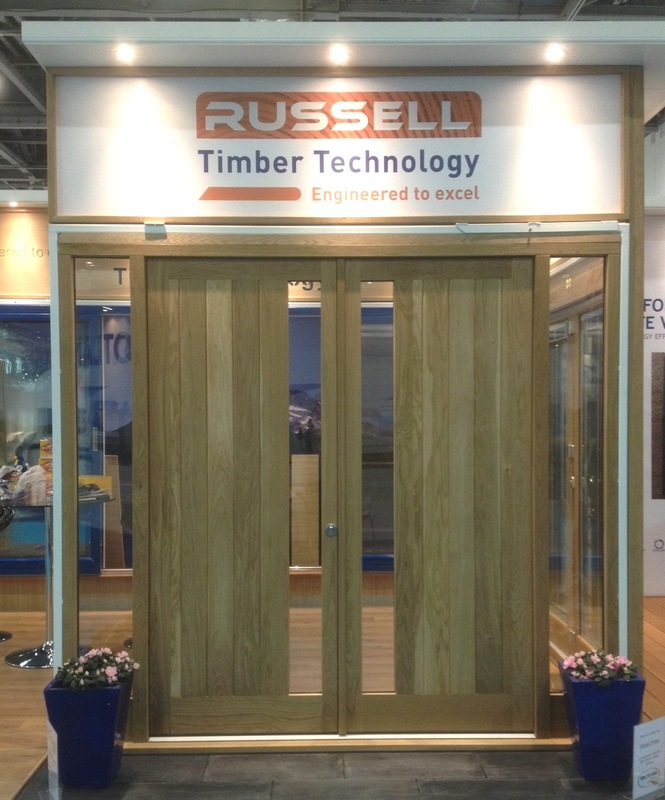 The Oak doors in this image were displayed on our stand at Ecobuild. Click on the titles below to reveal more information. Our clear faced Designer Oak windows and doors are manufactured from laminated and solid European Oak which is more stable and durable than American Oak in external locations. Quality materials and workmanship result in quality windows and doors giving superior appearance and performance. Doors can be manufactured to oversize and as double or French Doors as per our QTE 7 and QTE 8 ranges, plus impressive folding doors. All products and production are subject to continuous development. The company reserves the right to amend details and sizes without notice.